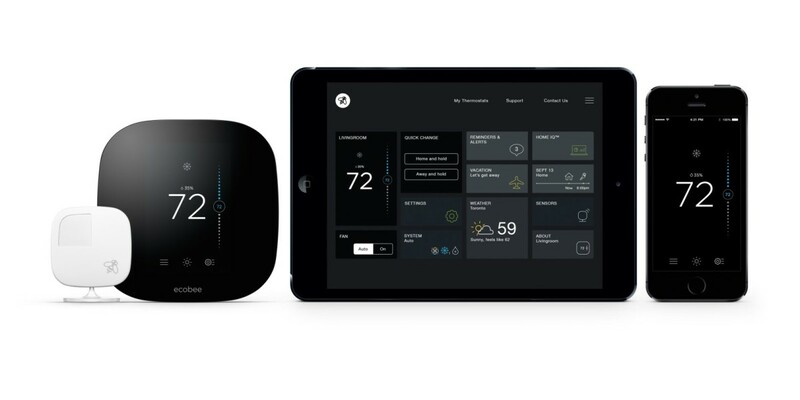 Ecobee’s new HomeKit-enabled thermostat, announced last month, will be available in Apple’s physical stores across North America from today for $250, reports The Verge. The Ecobee3 smart thermostat is similar to Nest’s flagship offering and lets you adjust the heating and cooling in your home using Siri. It also includes a remote sensor that can read a room’s temperature and tell you if it’s occupied. Apple’s platform for smart appliances allow them to be grouped and controlled together. This could be a good buy if you’re big on Apple and plan to outfit your house with HomeKit-connected products as they become available.